With beautiful old buildings, bucket loads of charm, a reputation for quality produce and some seriously chilled vibes, it's little wonder Fremantle is a Perth foodie mecca. 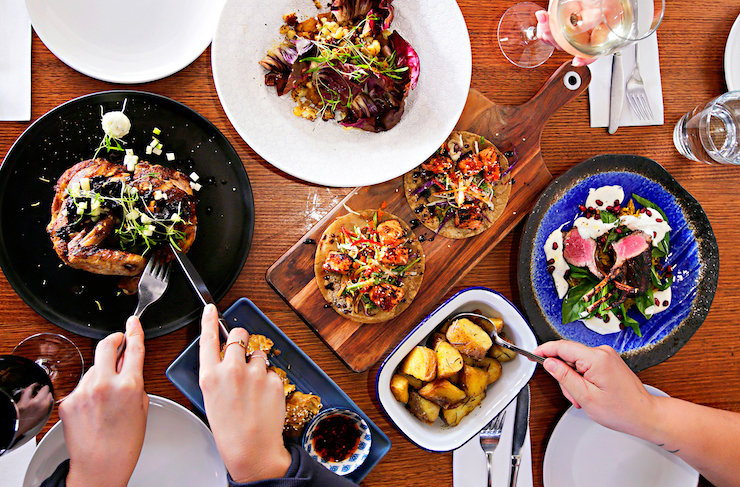 From the new kids on the block to the ones that hold a special place in our heart, we’ve rounded up the best Fremantle restaurants you need to visit next time you're in the Port City. 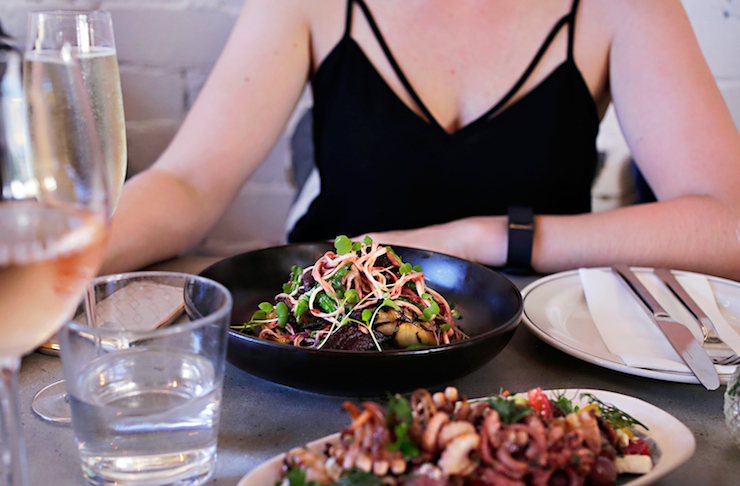 With an absolutely gorgeous old warehouse setting, a buzzy atmosphere, top notch food and some of the best staff around, Bread in Common is undoubtedly one of the best Fremantle restaurants. Their inspired menu is based around freshly baked rustic bread and focuses on locally-sourced, seasonal produce. They have a delicious range of house-made charcuterie and spreads, and their mains are designed to be shared among friends. Bonus: they love cheese and wine—and so do we! The Mantle is the place to get amongst the Freo in-crowd. The massive shared space in the north end of Freo is a hive of activity no matter the time of the day, bringing people together to eat, drink, work and play. Enjoy the vibrant atmosphere, funky artwork and innovative design of the old warehouse as you choose between authentic wood fired pizzas from Magna Pizza or the Argentinean and Latin American inspired flavours of Don Tapa. A couple of pop-up ventures also offer delicious options—think soft brioche buns and juicy handmade burger patties at Short Order Burger Co, and incredible gelato flavour combinations at Stampede Gelato. They’re open late but you’d best get in early to grab a table. Stunning views? Check! Incredible food? Check! Cool vibes? Check! Sweetwater Rooftop Bar in East Fremantle seriously has it all—it's no surprise this is one of our favourite hangouts. The modern Asian menu is phenomenal—think sesame glazed cauliflower, dumplings and shredded sticky beef. The cocktails are incredible too! George Street Quarters is best known for its winning all day breakfast offering, but, breakfast isn’t all these guys are pros at. The dinner menu features modern Australian fare with a smattering of Asian delights, order literally anything and you will be happy. There's a big focus on local produce from the ingredients used right down to the wines on offer. Coast on Port Beach is quintessentially West Australian. The vibe is relaxed and casual so you're more than welcome to pop in for a drink straight after a swim, but if you're after something a little more glam take a seat in the restaurant and take your pick from drool-worthy roti canai, sambal pork belly, thai beef salad or anything else from the Asian inspired menu. The perfect place for a big group catch up or an intimate drink for two, add this place to your bucket list stat. 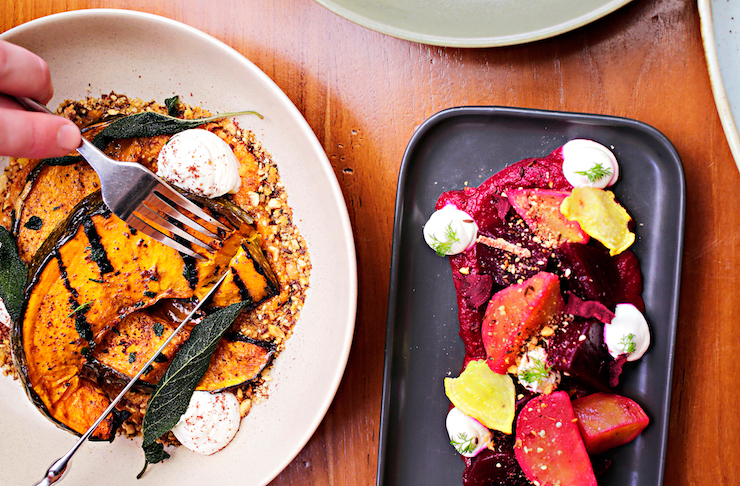 No list of Freo faves would be complete without The Raw Kitchen. This food revolution restaurant brings together a restaurant, smoothie bar, yoga studio and lifestyle store, all in a gorgeous, lofty 1920s warehouse space. Indulge while still feeling virtuous about your choices—they’ve got everything from pizza and pasta (made from surprisingly tasty zucchini noodles) to cakes and slices, and everything is raw, wholesome and healthy. Win, win, win! For hearty eats and some of the best shakshuka we’ve had the pleasure of tasting, head to Kazoomies Feel Good Food at the E-Shed Markets in Freo. The Northern African and Spanish menu features goodness like Moroccan lamb shanks, barramundi shakshuka and quesadillas. Definitely worth the trip south! From Eamon Sullivan and head chef Scott Bridger, Bib & Tucker is one of those spots that we just can't get enough of. Whether it's breakfast, lunch or dinner, you'll never leave disappointed. 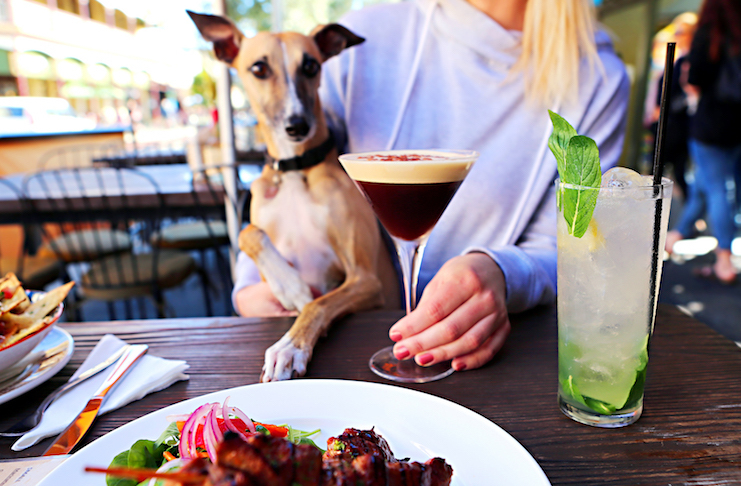 With stunning beach views and a spot on modern Australian menu, Bib & Tucker sums up why living in Perth is so special. Get there early or be prepared to wait. It’s a big call, but we’re going to go ahead and put our names to it anyway—Nunzio’s on Essex Street is one of the best Italian restaurants in Fremantle. The brainchild of Nunzio Gumina (the original founder of alfresco dining on Freo’s Cappuccino Strip), Nunzio's promises an authentic Italian dining experience to remember. Along with a wine list to be rivalled, Italian beer on tap and a dessert cart that is out of this world, the pasta is, of course, made fresh in house and the perfect comforting food to tuck into on a cold winter’s night. This is where you need to eat next time you're in Fremantle. If you like Mediterranean flavours with a side of live music, Habitue (meaning a frequent visitor, particularly to a place of pleasure) is the place for you. A warm fire, friendly staff, cool jazz and a cute old cottage set the mood for an interesting and tasty dining experience using the best local produce and the unique flavours of chargrill cooking. Settle in for a long boozy dinner and you’ll soon agree that these guys really are the nice kids of Freo. One of Fremantle's best restaurants. Think you’re too old to have hotdogs for dinner? Think again! Run Amuk has added some class to the humble sausage in a bun, cranking things up a notch from the run of the mill sausage sizzle. Using premium bratwurst sausages made from 70 per cent pork and 30 per cent beef (with vegetarian versions also available) along with super fresh relishes, chutney and other delightful toppings, they’ve gained a loyal following and make our list of best Fremantle restaurants. Our top tip: wrap your lips around the Mischief dog—with tasty tomato relish, freshly made guacamole, cheddar, baby spinach, tortilla chips, jalapenos and sour cream. Hot-diggity-dog! Create your own five-course Italian menu at the popular Freo restaurant, La Sosta. Fresh ingredients are combined with a love and respect for Italian heritage and culinary art, and the result is delicious, comforting and authentic grub. The servings are hearty, the service is friendly and if that’s not enough to convince you to give this place a try, they also serve a cracking tiramisu. Once an old bus garage, North Fremantle restaurant Propeller has been transformed into one of the most colourful and vibrant eateries going around. Cool vibes and friendly staff make this a fun place to hang out but the tasty brekky, brunch, lunch and dinner fare will have you coming back to Propeller time and time again. There isn’t much to say about Little Creatures that hasn’t been said before. The iconic Freo brewery is full of all the good things we look for in a pub—loads of tasty menu options, a backyard for soaking up the sunshine, a huge indoor dining area, craft beer and a vibrant and welcoming atmosphere. It’s the perfect place to soak up the busy port-side vibe and enjoy the best of what the city has to offer. The wood fired pizzas are hard to pass up but if you can, there’s loads of other menu goodness including oysters, marinated octopus, nachos, steak sandwiches and fresh fish. One of Fremantle's best restaurants for sure! For those days when you’ve had your fill of tapas and mason jar juices, head on down to Limones in East Freo for a modern, home-style Italian feast. In a beautiful spot on George Street, Limone's serves up good quality, fresh produce that will make your belly happy. Everything is made in house and everything is good! We can never go past the delicious slow-roasted pork belly with cauliflower puree, kale and jus (drool). Vin & Oli is an uber cool addition to Freo’s tapas and wine bar scene. Pop in for a glass of prosecco and settle into one of the booths made from refurbished bus seats. The deep friend manchego cheese and the bacon herb roast potatoes are the perfect accompaniment to a drinks menu that includes over 100 wines. For simple, honest and hearty food head, Manuka Woodfire Kitchen is the place to go. Think wood roasted chicken with miso and red cabbage or slow cooked lamb with smoked labne and gremolata. Delish! Big supporters of West Aussie produce, Manuka are fully licenced, serving local beer, wine, cider and coffee. This sleek and stylishly minimalist Japanese restaurant specialises in Aburi sushi—a style where the fish is partially cooked with a blow torch and partially raw, resulting in a subtle buttery and smokey flavour. The Modern Eatery serves up fresh and delicious Aburi sushi alongside a good range of uramaki, sashimi, nigiri and tempura. Try one of the elaborately named and made craft rolls while you sip on 12-year-old Japanese whiskey. Perfect. Australia's first ever liquor licenced beachfront bar and restaurant, you knew there was no way we could leave Bathers Beach House off this list! Get a share plate and a couple of cocktails delivered directly to your sun lounge while you sit back and live like a king, or if you'd prefer to stay out of the sun, grab a seat inside and enjoy the amazing views and incredible service. They’ve got tempting meal specials, a nice big seafood platter and amazing cocktails to go along with the busy and vibrant atmosphere. While we're all about the espresso martinis on tap at Benny's, it turns out they dish up some pretty good eats too! The menu here is huge but you can't leave without ordering the seafood platter or a steak... and maybe some pasta too. Oh, and did we mention the desserts are also epic! Go hungry. Ramen fans know to head to Japanese eatery Dosukoi at the Fremantle markets for bowls of liquid gold. Dishing out some of the best ramen in Perth, these guys even do a prawn dumpling ramen if chashu pork isn't really your cup of tea. Our only complaint is that it's not open everyday. Been to all of the best restaurants in Fremantle? 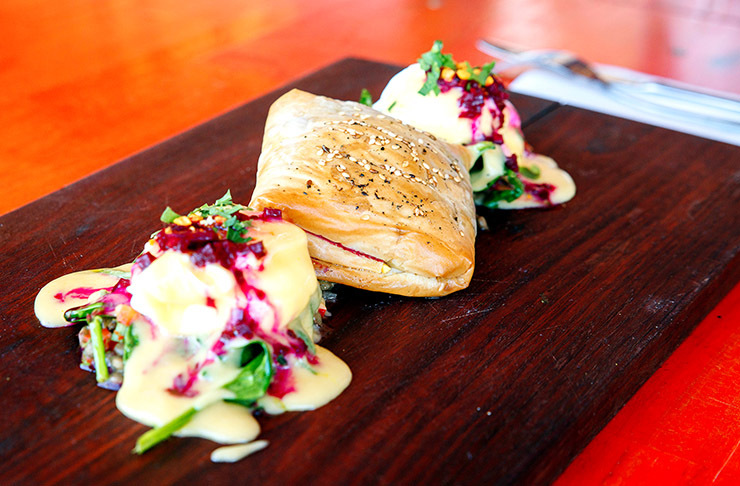 Check out the Fremantle Cafes You Need To Have Breakfast At.